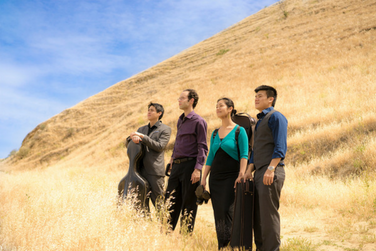 The “powerfully adept” (San Francisco Chronicle) Telegraph Quartet plays with dexterity and finesse and has equal passion for the standard chamber music canon as well as rarely performed contemporary repertoire. Regular guests of the country’s major stages, the quartet has appeared in New York’s Carnegie Hall and San Francisco’s Herbst Theatre, among others. Beyond the concert stage, the Telegraph Quartet shares its music through education and audience engagement with residences via programs like Maine’s Yellow Barn’s Music Haul, a mobile performance stage that brings music literally outside of the concert hall to different audiences across the country. Join the artists for a pre-concert talk at 7PM!